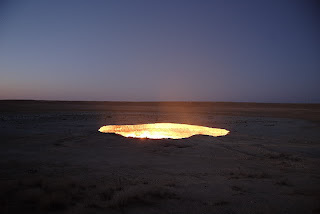 Turkmenistan, natural gas is starting hole found by geologists in 1971, when at that time was digging to find natural gas and then suddenly the ground under its existing quarry disappear abruptly, and left a very big hole, in order to avoid poisonous gases which come out of the hole then the hole is burned, and the fire is still burning today. 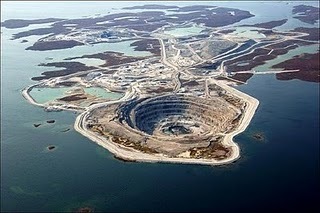 This incredible hole that can be found at 300km northeast of Yellowknife in Canada. This is a very large mines and remote areas so that he even has its own airport with a runway large enough to accommodate a Boeing 737. 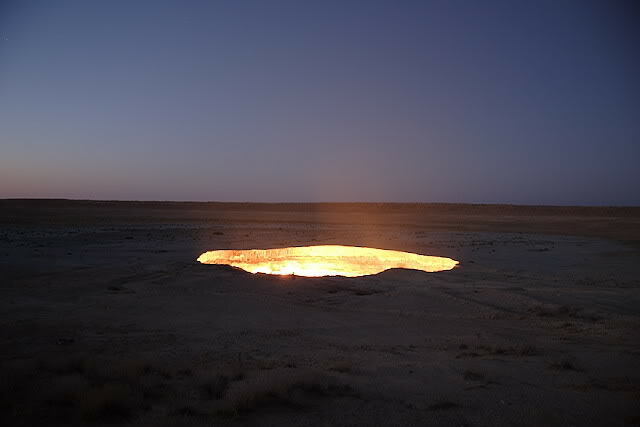 It also looks the same when the water freezes sekililingnya. 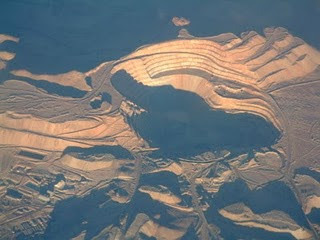 Chuquicamata - Chile, is the largest copper producing mine in the world with a depth of 850 meters. 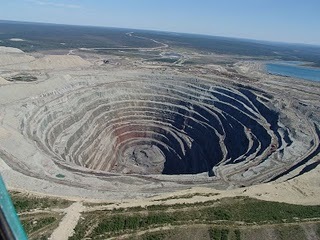 Udachnaya Pipe - Russia, is a gem mine plan the mine will cease in 2010, this mine was discovered in 1955 with a depth of 600 meters. 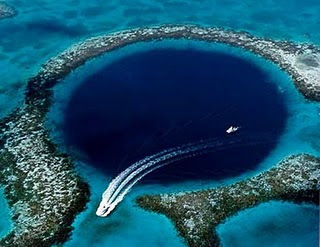 Belize, located in the waters of Belize with 400 feet into the 1000 feet in diameter, formed since the ice age. 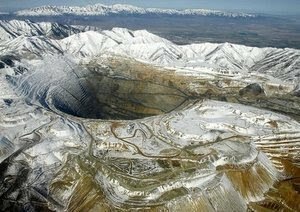 USA, copper mines are located in the Oquirrh mountains, Utah with into the 1.2 km and width of 4 km is the largest mine ever made by man. 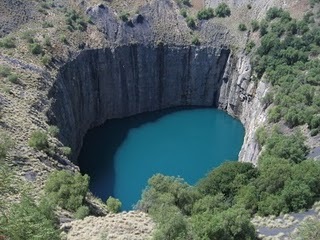 South Africa, also known as the Big Hole reigning excavation using the world's largest human hand. In 1866 up to 1914 as many as 50,000 workers digging with picks and shovels in search of 2.722 kg of diamonds.